This 5-week yoga program offers simple and supportive practices for those experiencing the effects of chronic stress, anxiety and related illnesses. You will learn self-care practices from the ancient art & science of yoga that will help you reduce the negative effects of stress, help you to bounce back from stressful situations, and build your resilience to stress. Walk away with personalised tools you can use on a daily basis to find and maintain steady ground. Informed by modern science and research findings, while remaining rooted in traditional yoga, the therapeutic nature of this program makes it suitable for any level of experience including absolute beginners. Participants will receive guidance, encouragement, and support in integrating these practices into their lives. experiencing stress due to work, life events etc. with a stress-related illness such as hypertension, Irritable Bowel Syndrome, insomnia etc. seeking tools with which to boost their stress response and ability to bounce back from stressful events. who is ready to take positive steps to enhance their well-being. Each class is 90 minutes long and will include discussion, practice and a time for question and answers. Gentle, breath-focused & mindful yoga movements (asana), to help release long-held tension. Supported restorative yoga poses that facilitate deep rest & relaxation. Safe and effective breathing techniques that activate the parasympathetic nervous system, balance the stress response system and regulate the mind and emotions. Mindfulness and simple meditation to calm and steady the mind. To provide a framework for continued self-regulation, all participants will be given short, simple practices & tools for home use. This is an inclusive course and all bodies and levels of experience are welcome, including absolute beginners. To create a personal and individualised experience, this workshop will be limited to 5 participants. Numbers are limited in this program to ensure each person’s needs are addressed. If you have any questions about this program or are unsure if it’s suitable for you, please contact Barbara who will be happy to help. Barbara Coley, C-IAYT, RYT-500 has been practising yoga for over 25 years and teaching since 2007. She has deepened her understanding of yoga through her extensive studies with her own teachers and mentors, A.G. Mohan and Indra Mohan. Barbara is a certified Yoga Therapist with the International Association of Yoga Therapists (IAYT) and Yoga Australia. She works one-to-one with students wishing to improve their physical & emotional health and also teaches therapy classes for small groups facing similar health challenges, presents workshops and Professional Development programs in the area of yoga therapeutics. 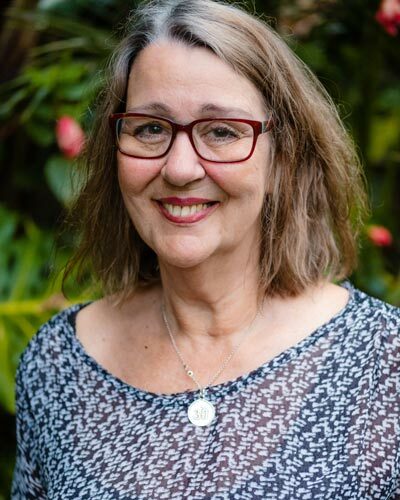 Barbara’s interest is in helping people to achieve their personal goals around health and well-being, using the many tools of yoga.